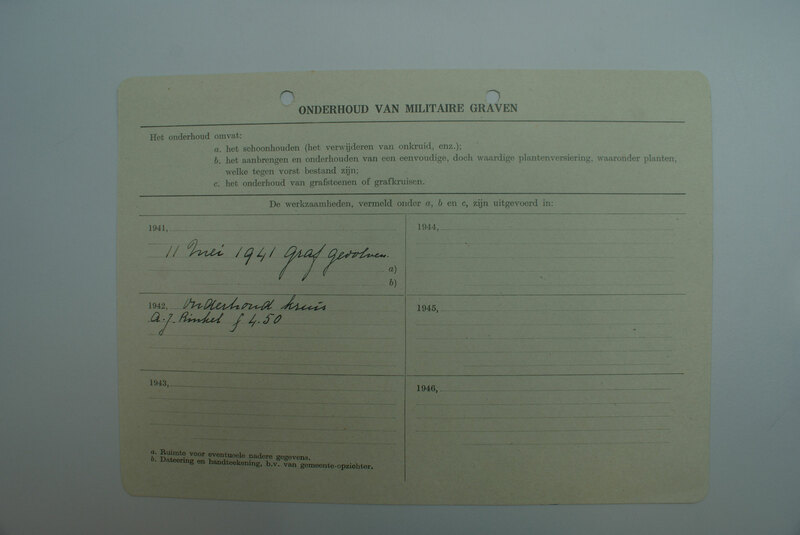 During the war information, documentation, ID TAGS, personal belongings of allied soldiers who were killed when their plane crashed, or washed up were send to the Dutch Red Cross in The Hague who made it their task (since 1909) to inform the Next of Kin, however not always the items were hand over by the Germans or the civilians. 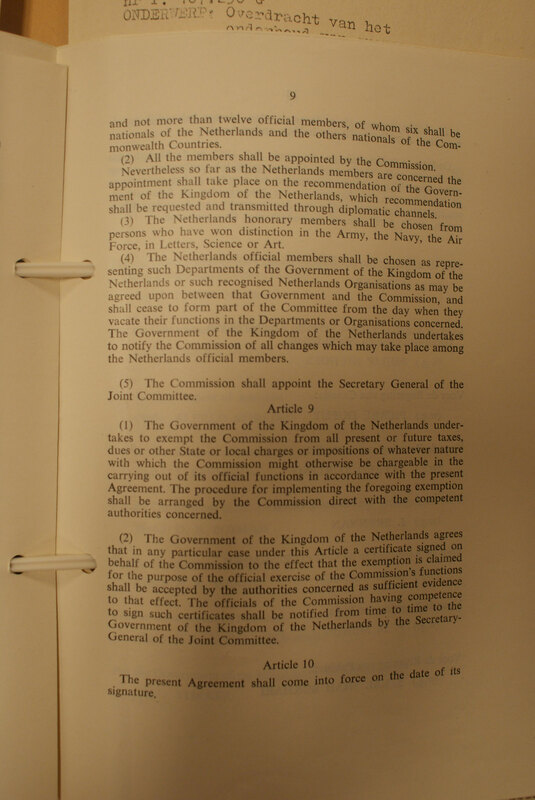 This was all archived in the Head Office at The Hague. 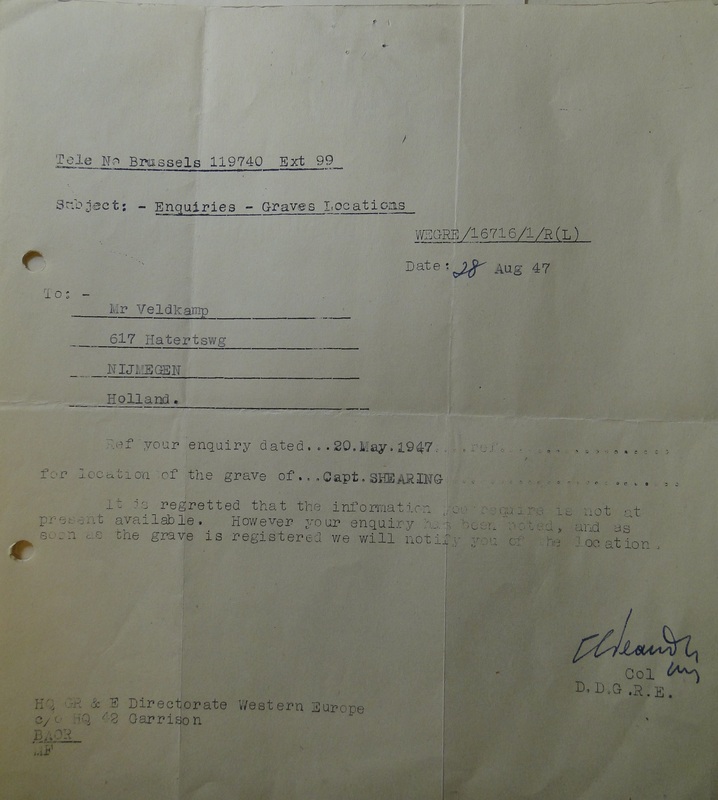 However during the bombing on The Haque on 3rd of March 1945, the archive was destroyed by fire. 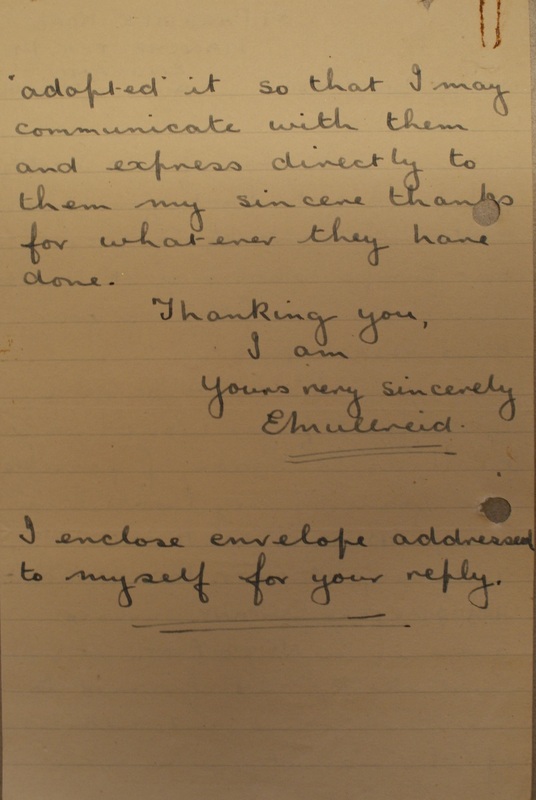 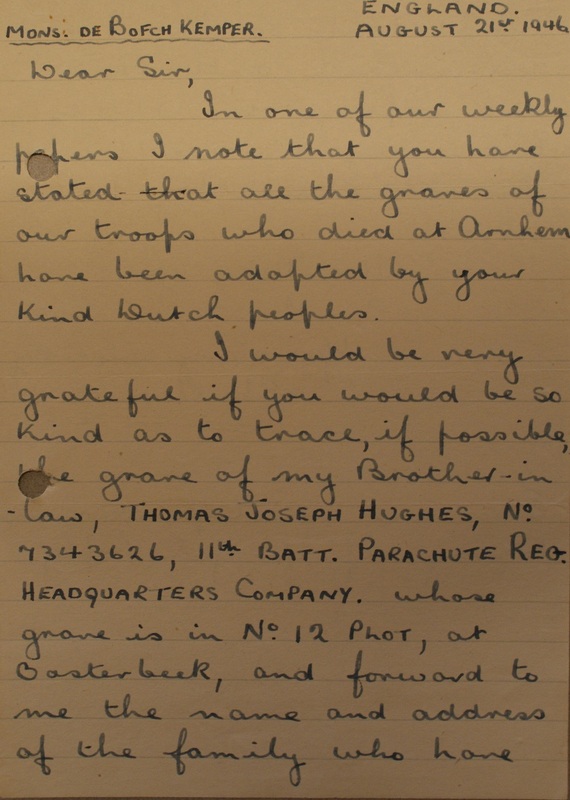 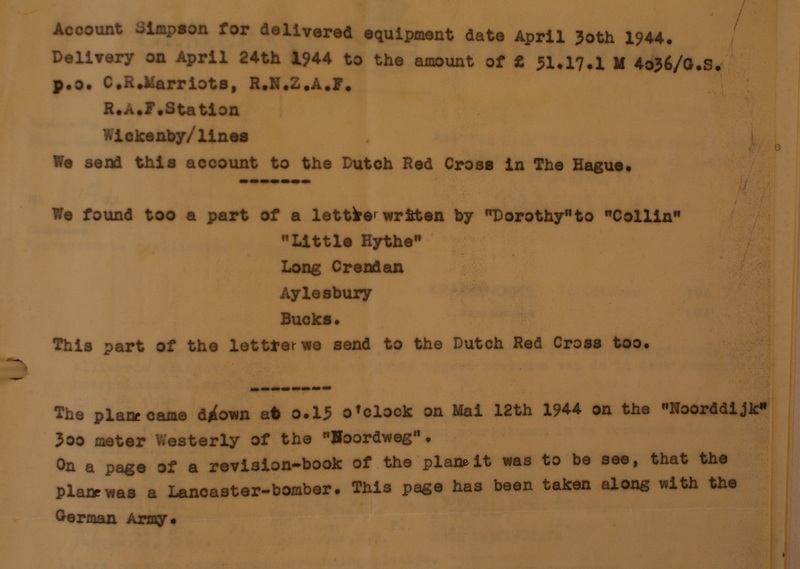 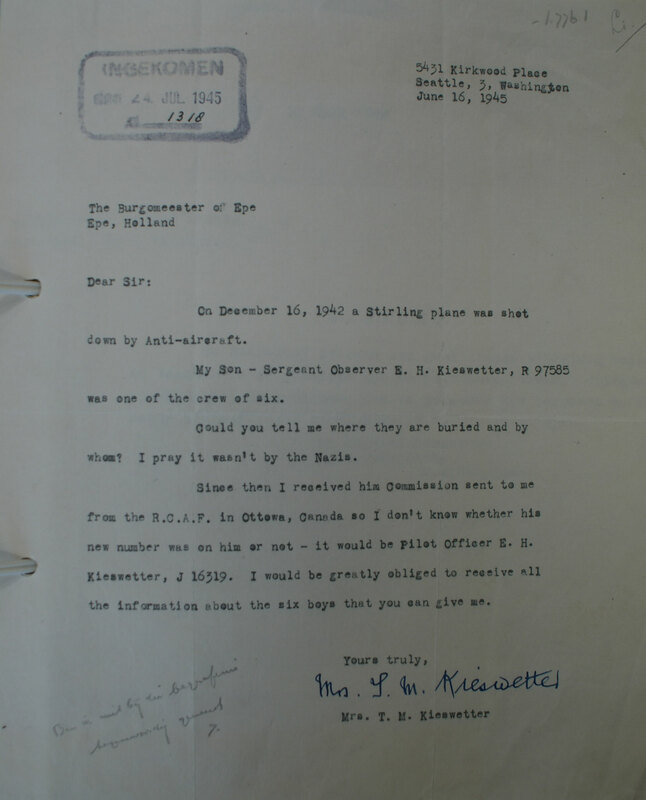 On 26 March 1945 a letter was send to all the Burgomasters in the Netherlands asking them to send the information they had in there own archives about any killed Allied or German soldier to send this to the Dutch Red Cross. 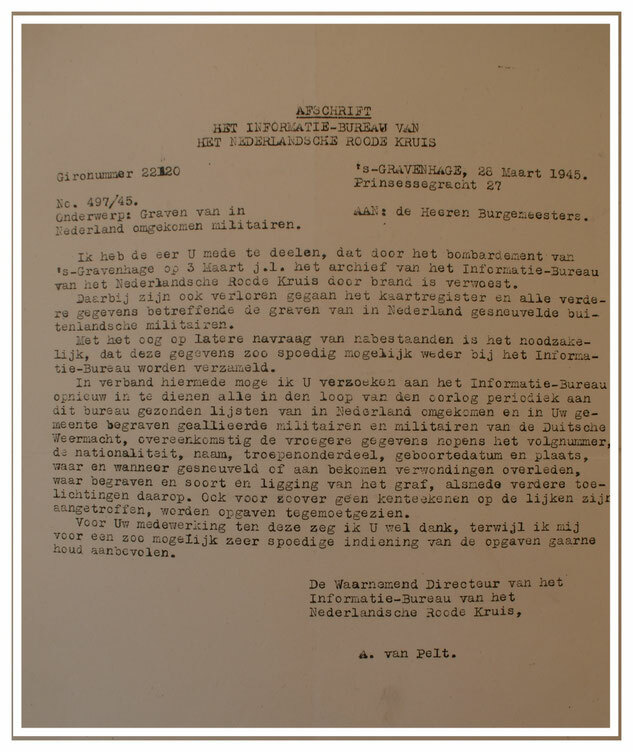 During the war the Headquarters of the Red Cross was stationed in Geneve in Swizterland. 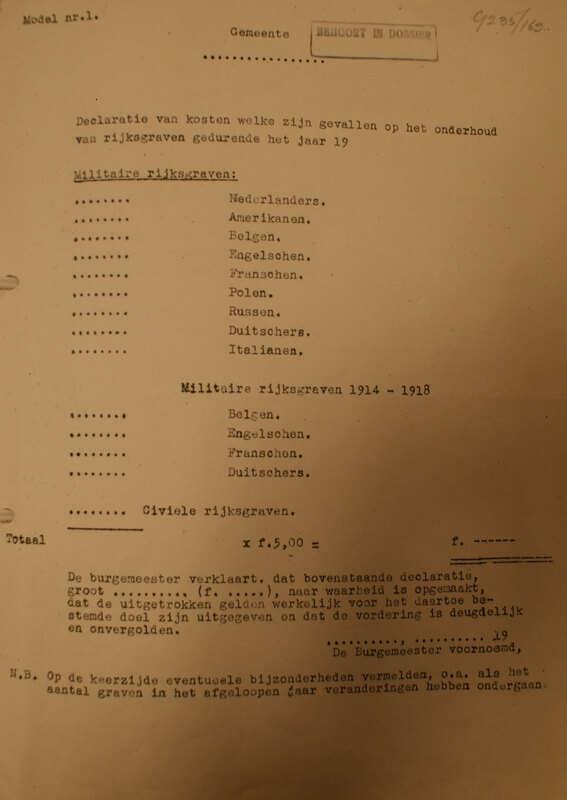 50.000-100.000 letters arrived there daily, 1200 people, including 276 volunteers were working on these records. 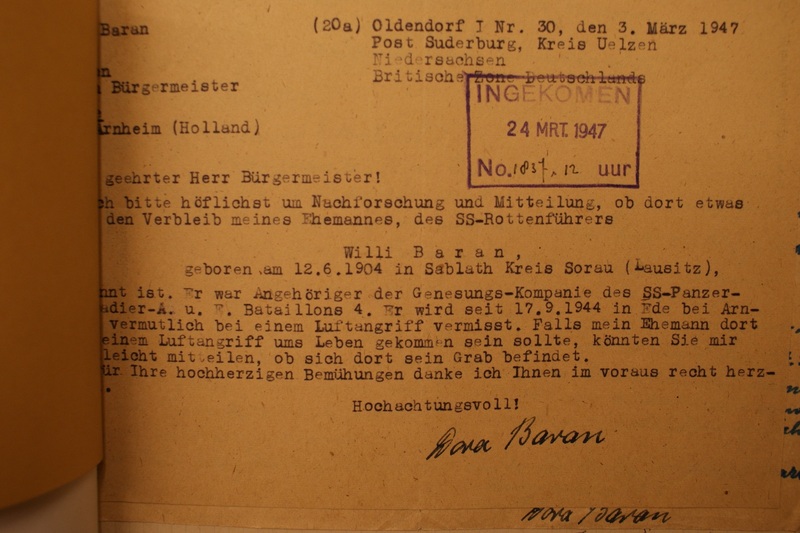 Information send by the Germans and Allies. 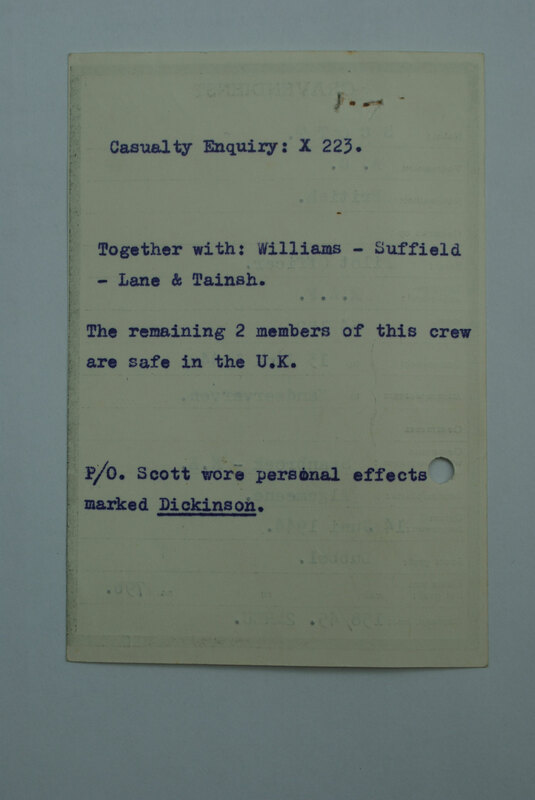 From there relatives were contacted about someone being killed or made Prisoner. 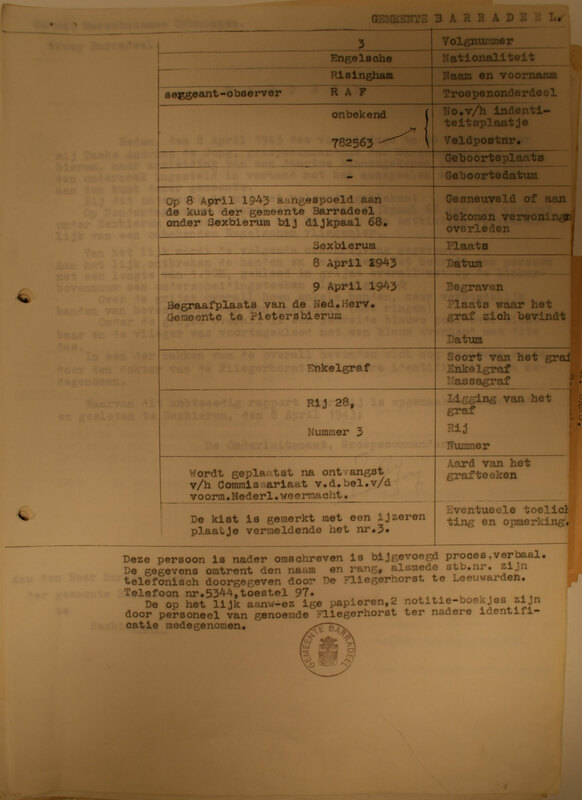 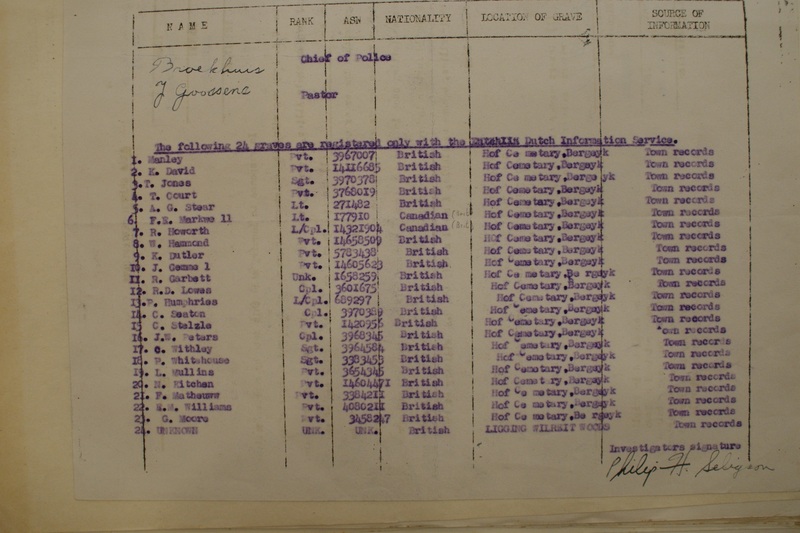 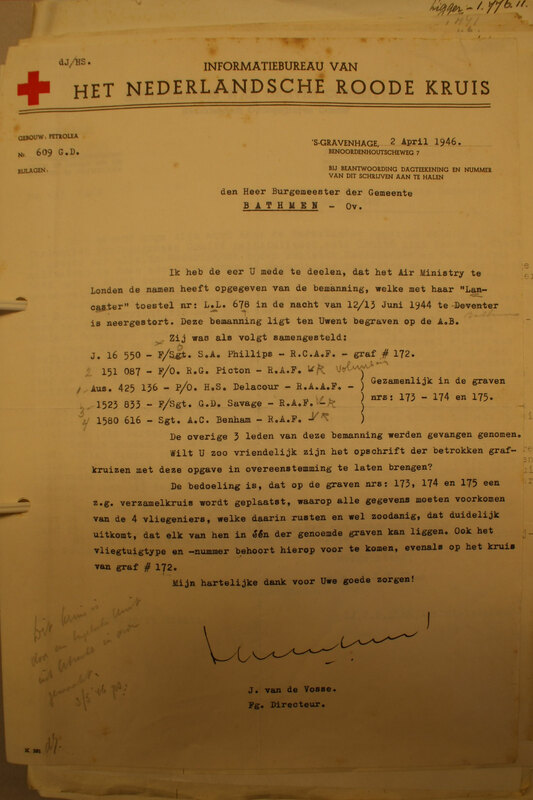 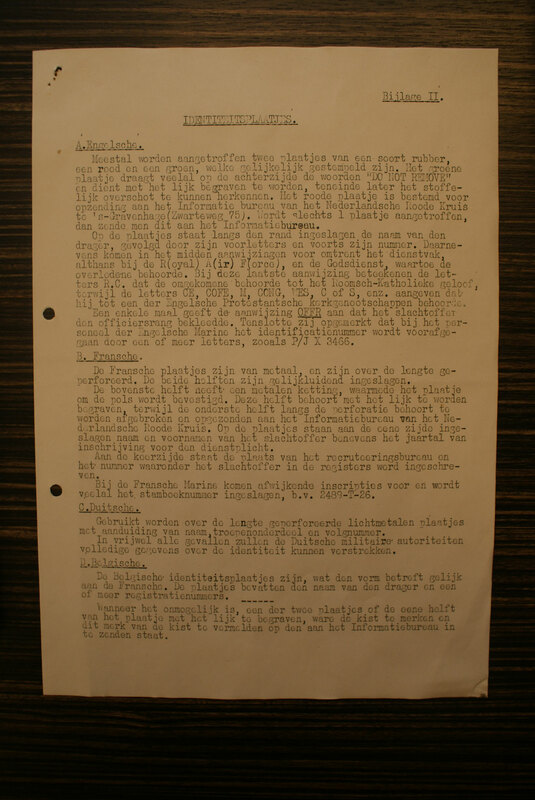 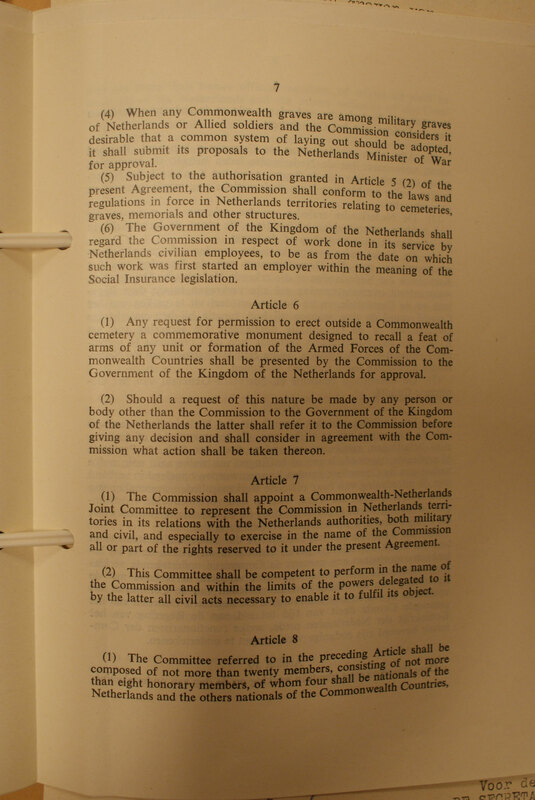 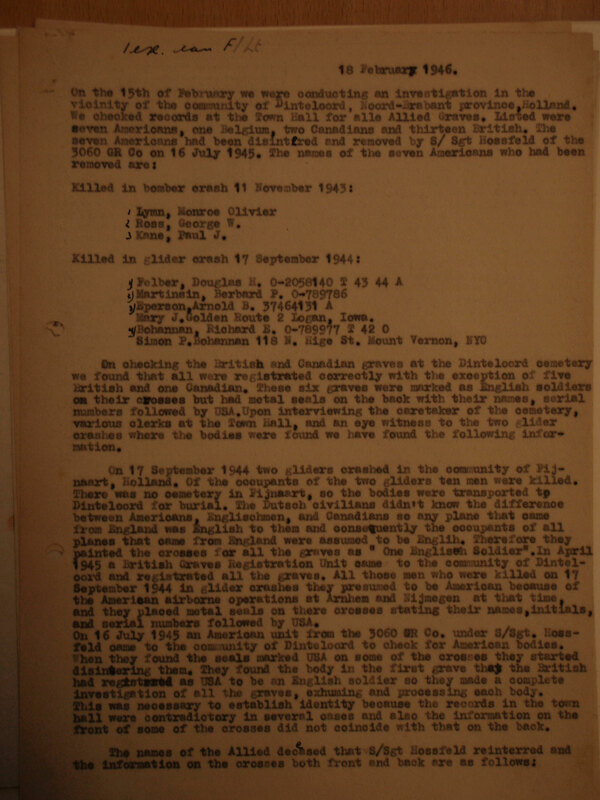 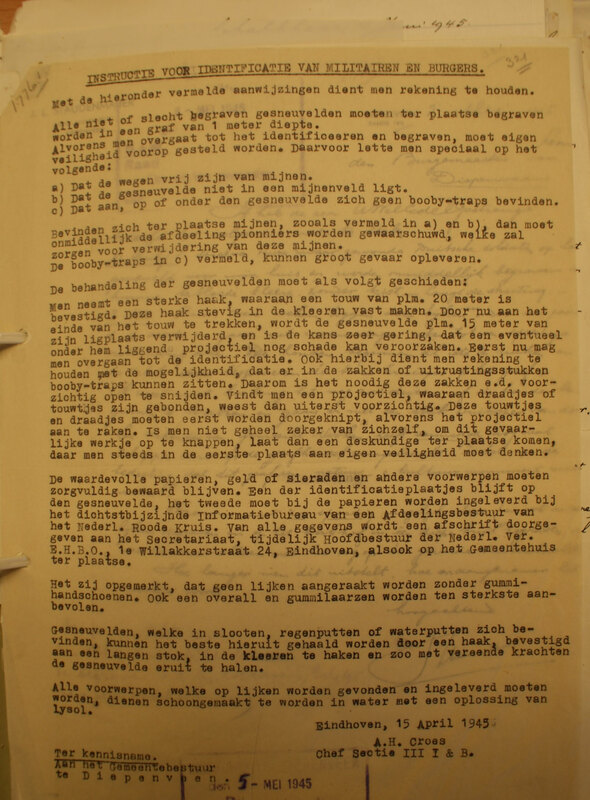 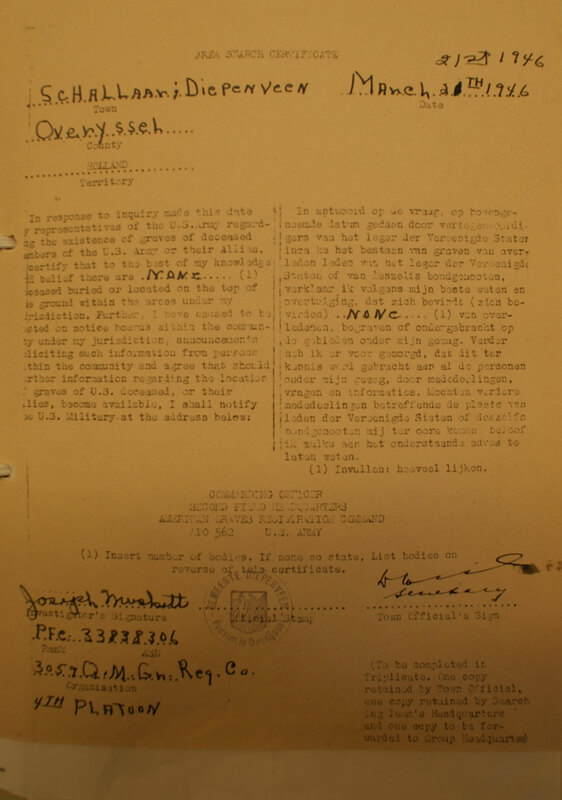 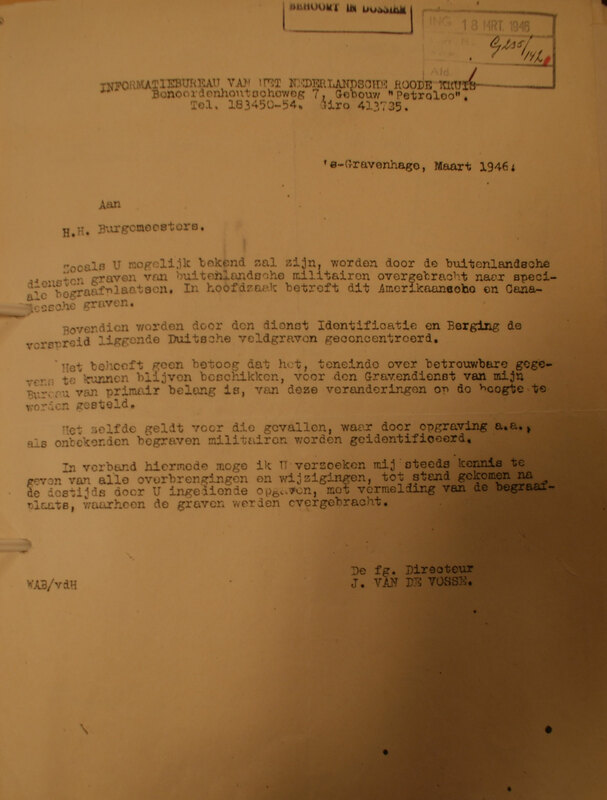 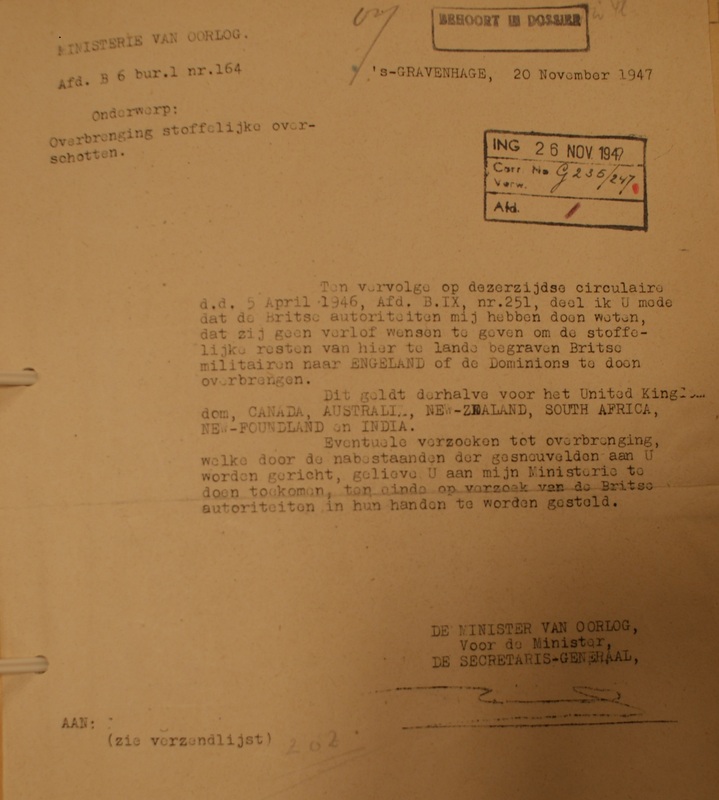 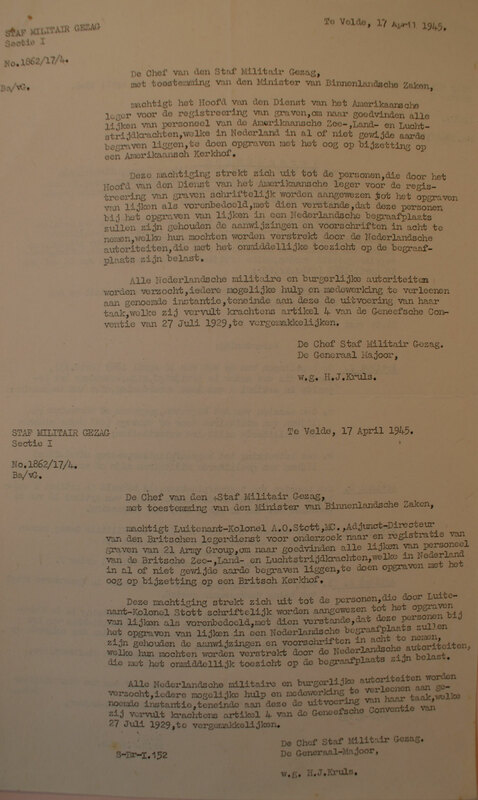 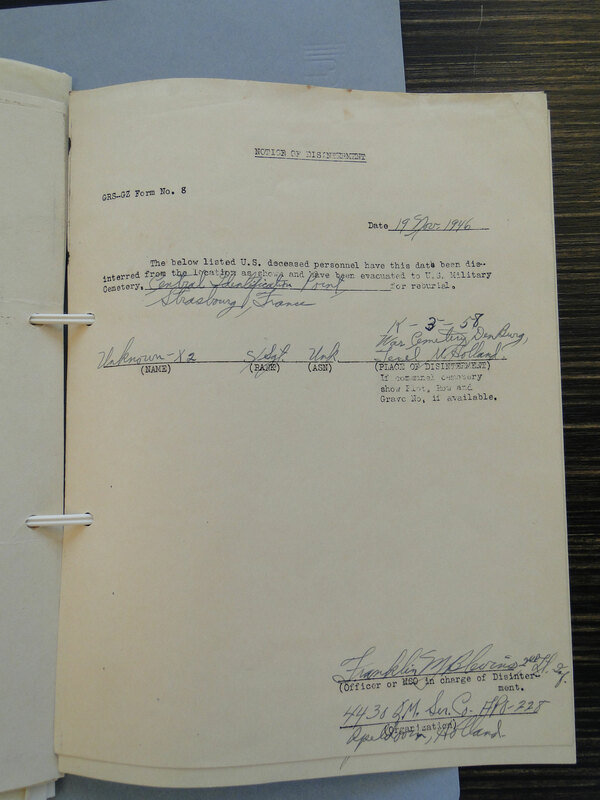 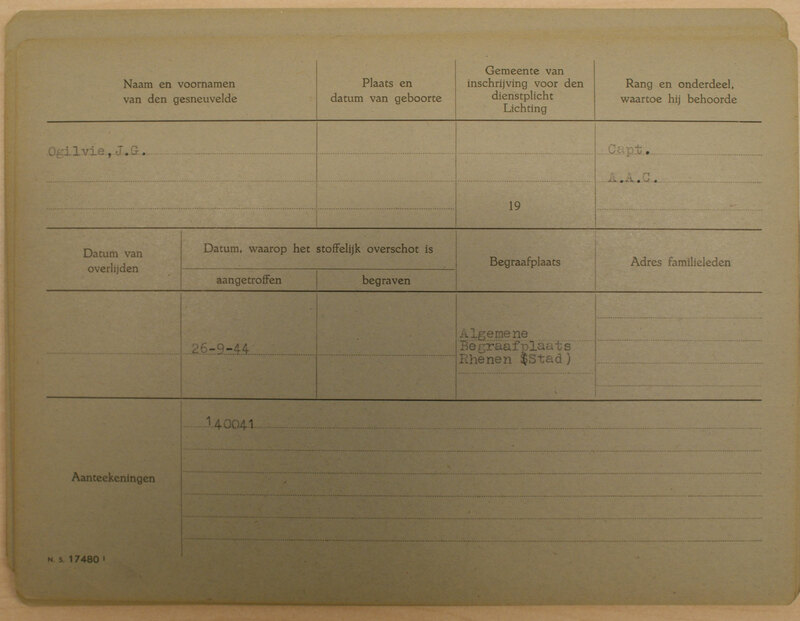 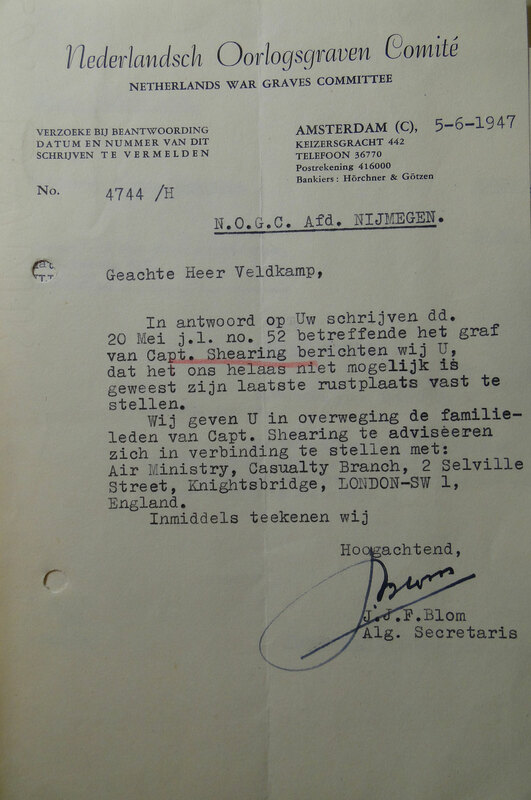 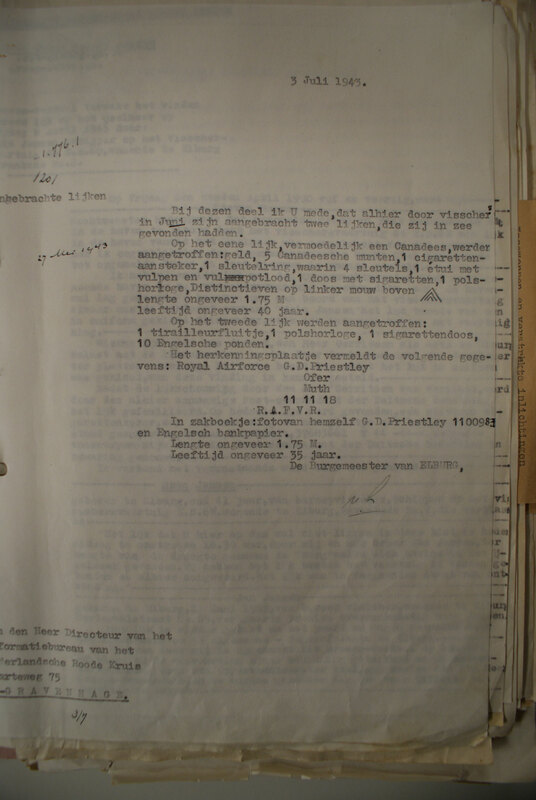 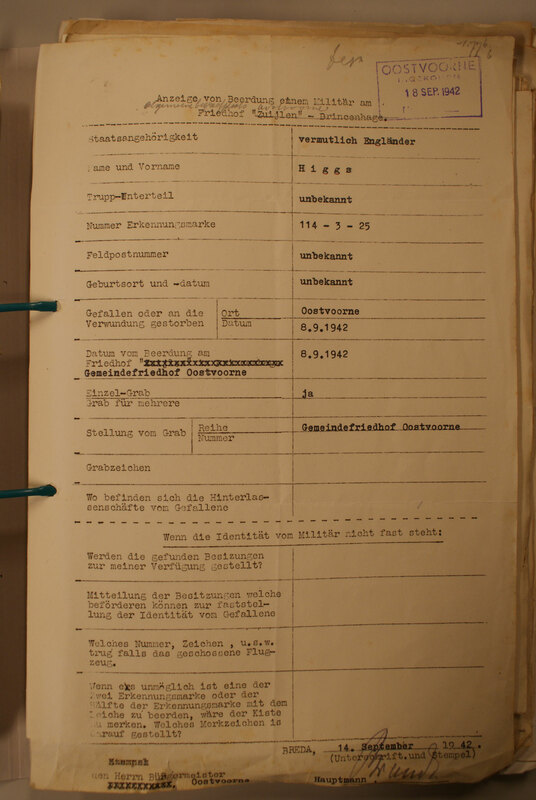 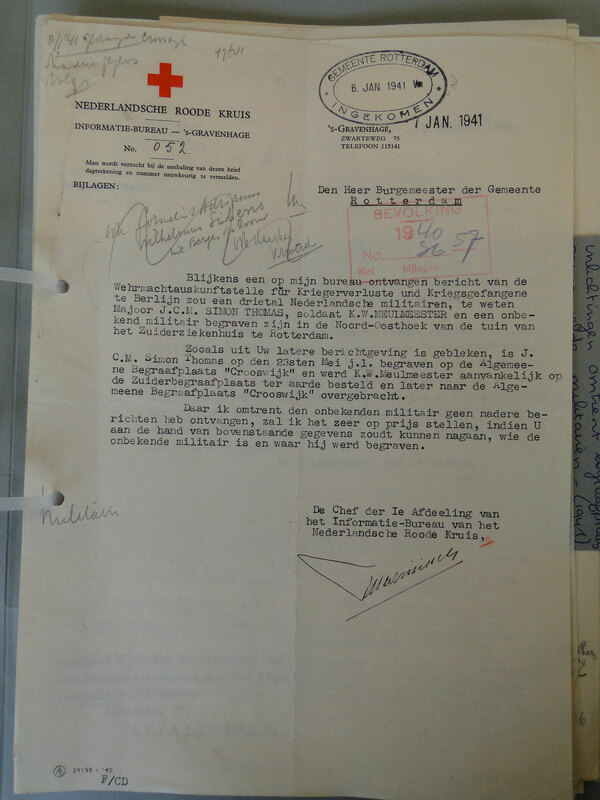 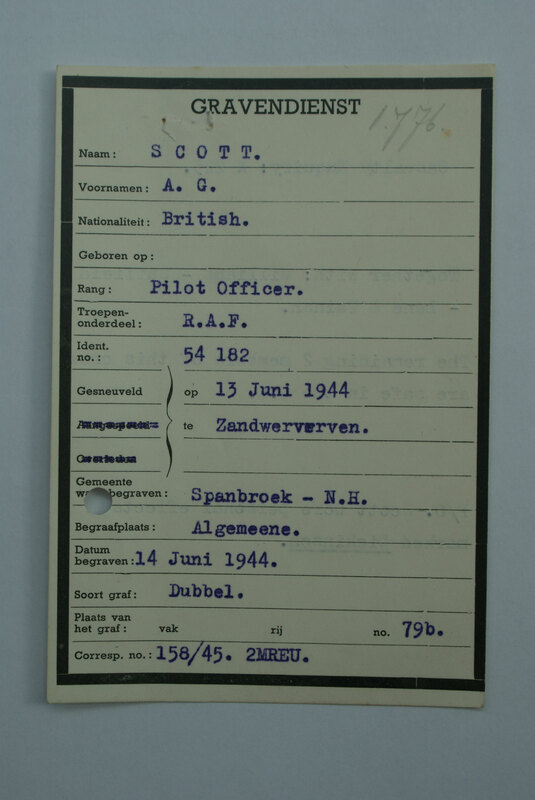 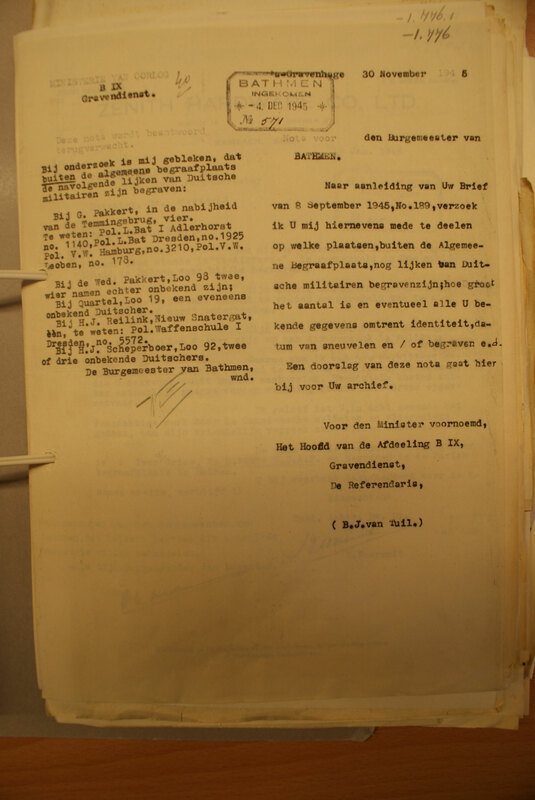 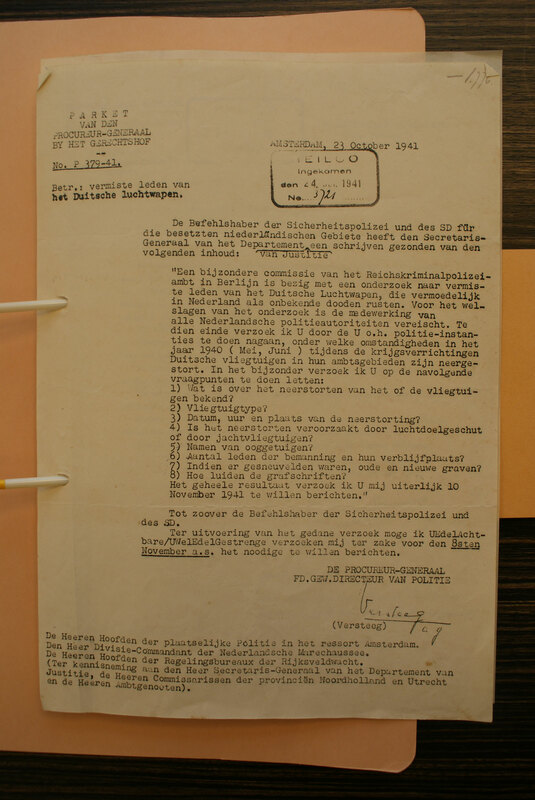 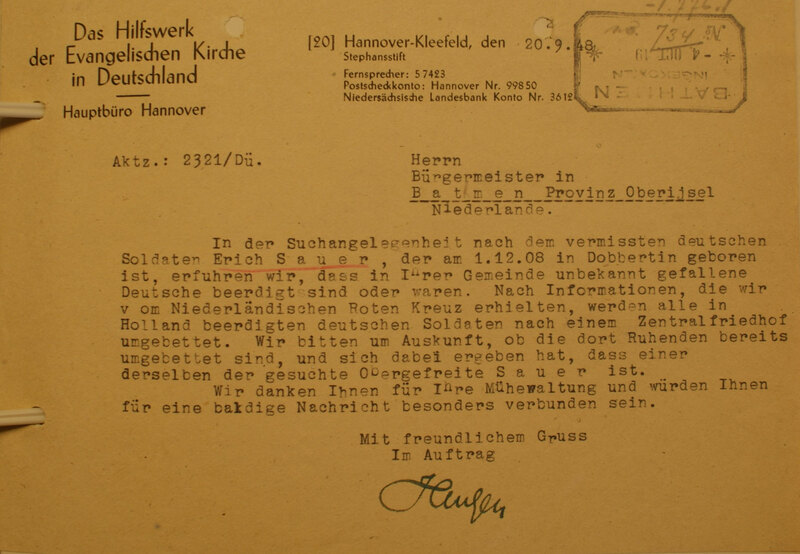 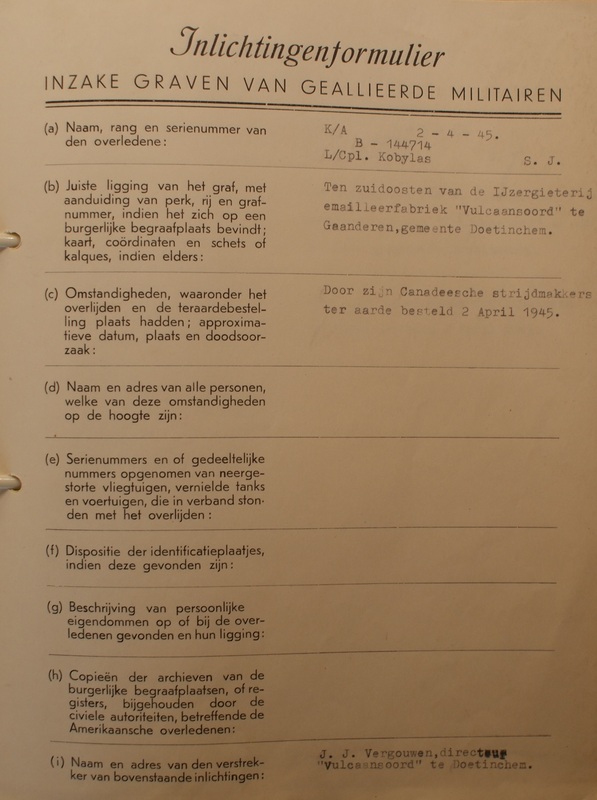 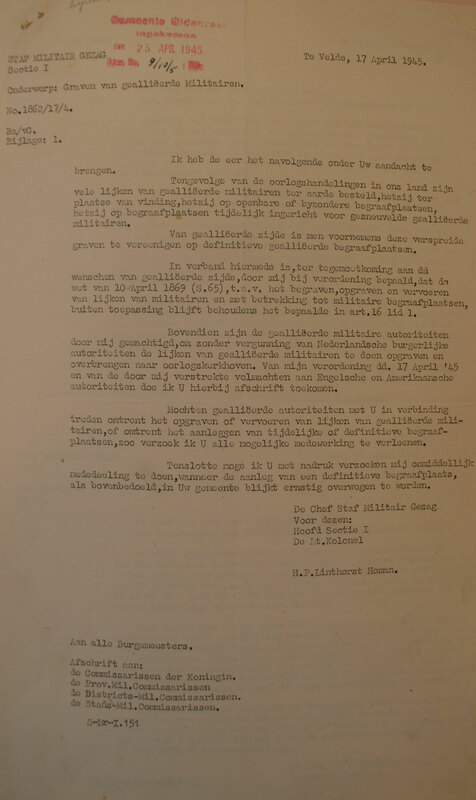 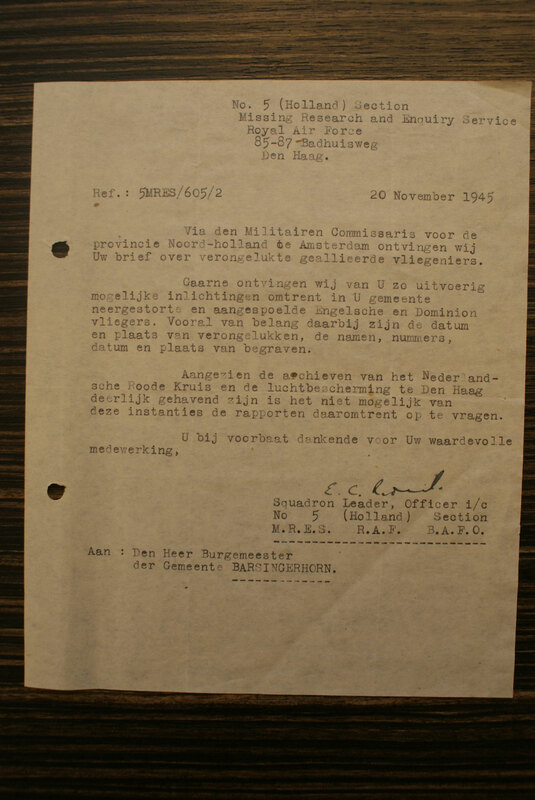 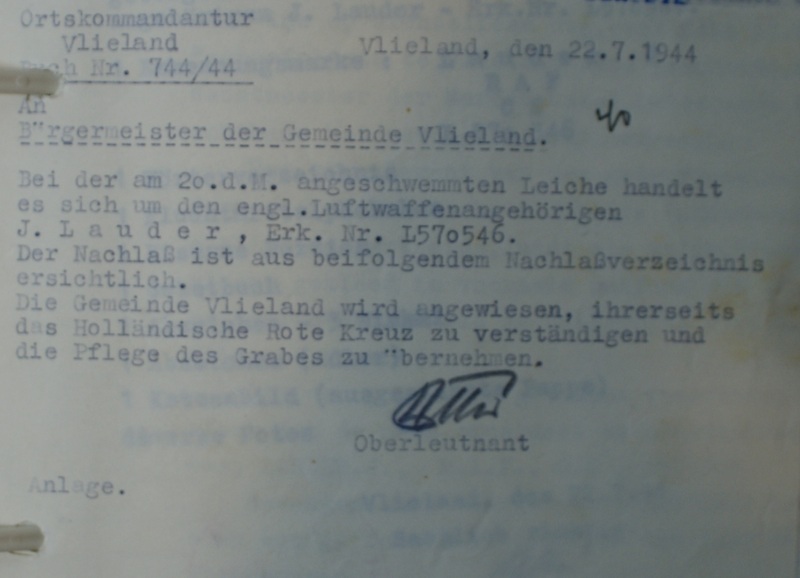 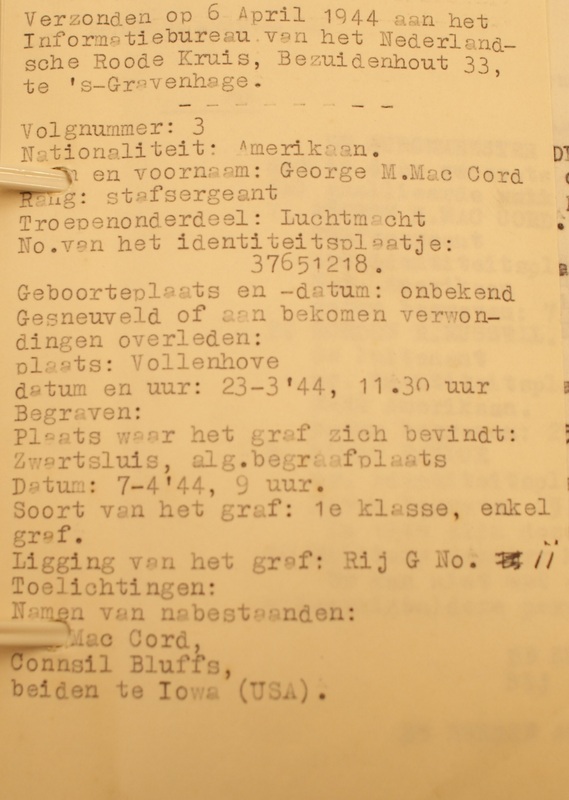 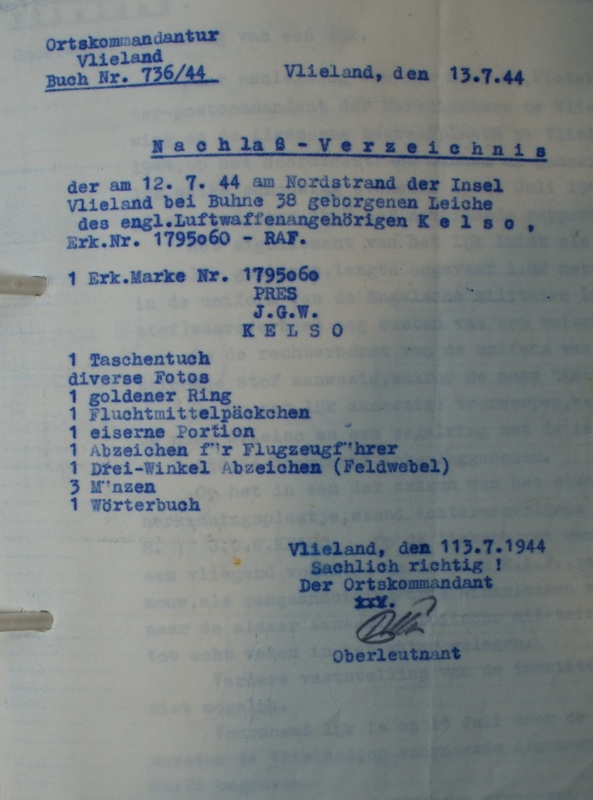 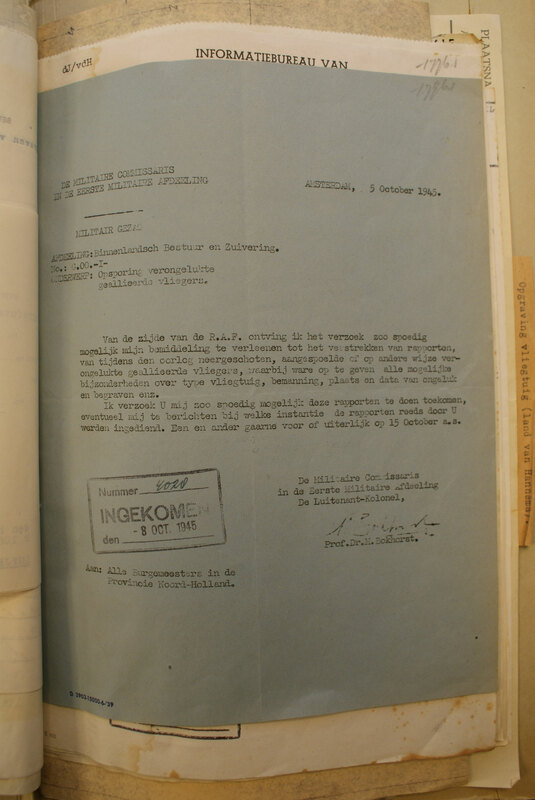 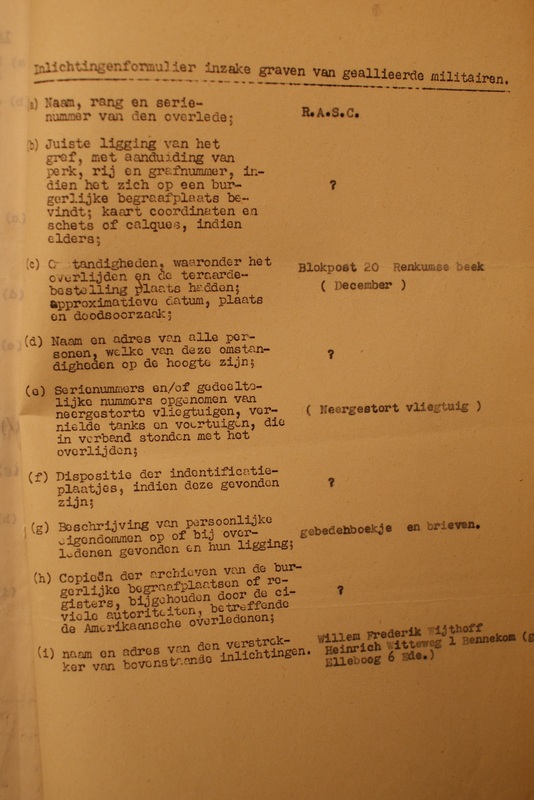 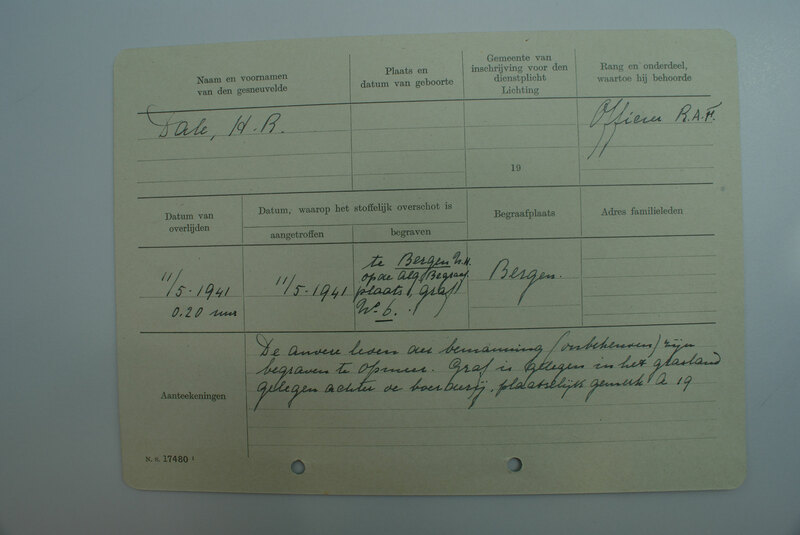 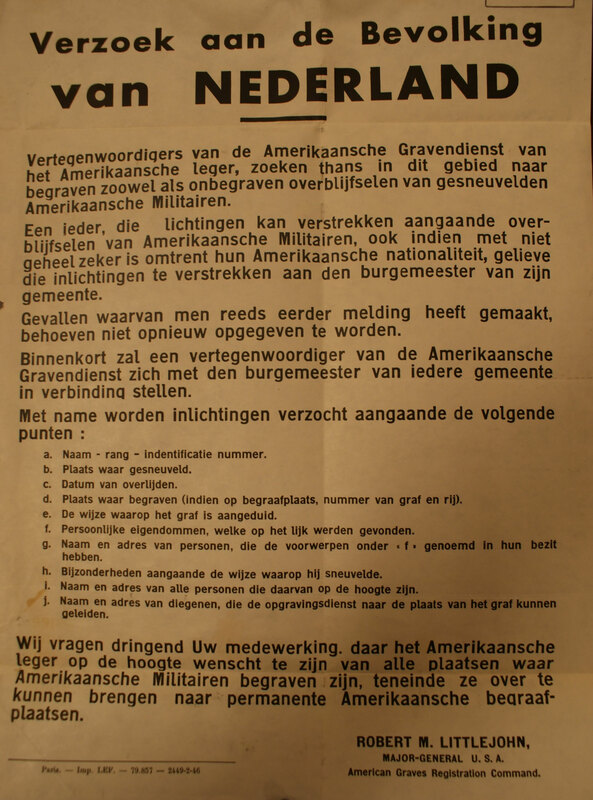 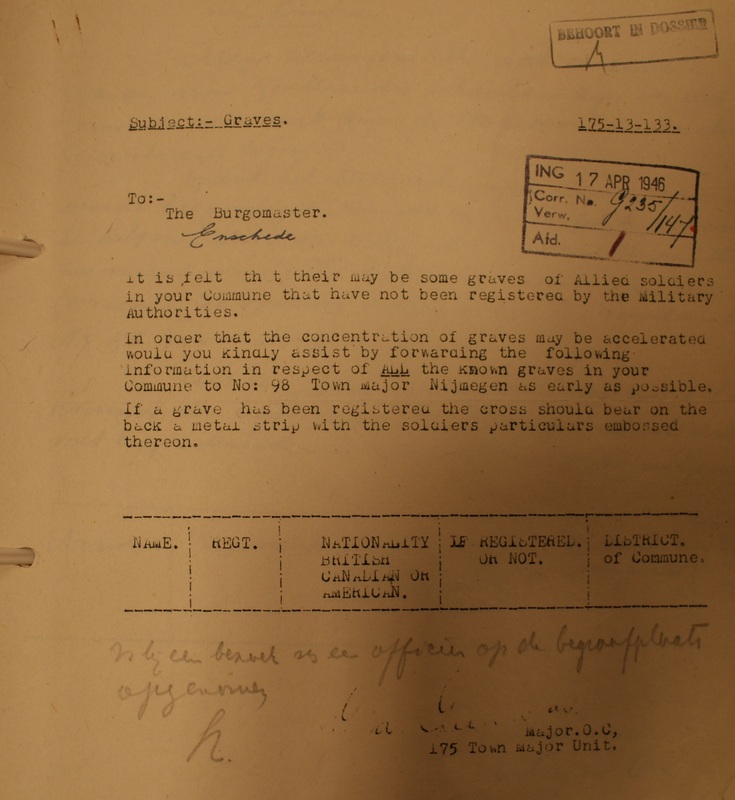 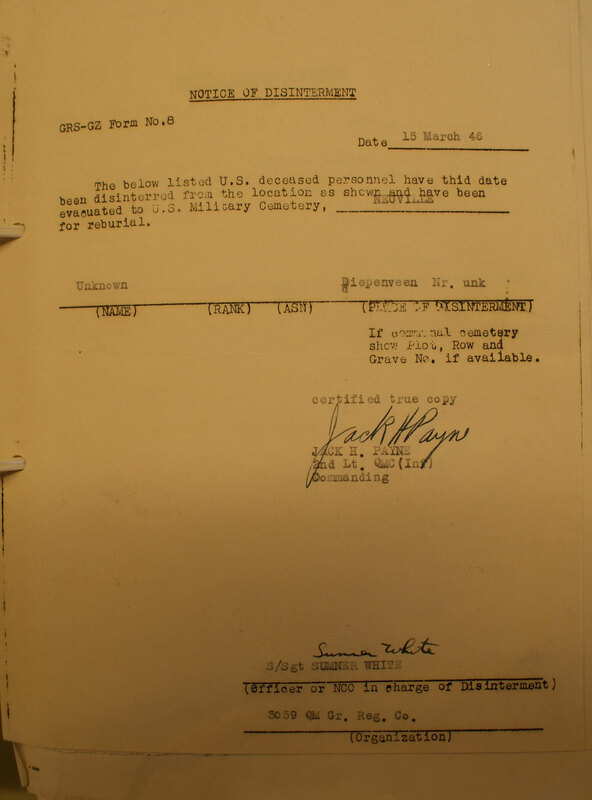 The following photographs shows several documents (mainly Dutch) used by the Dutch Red Cross to gather information. 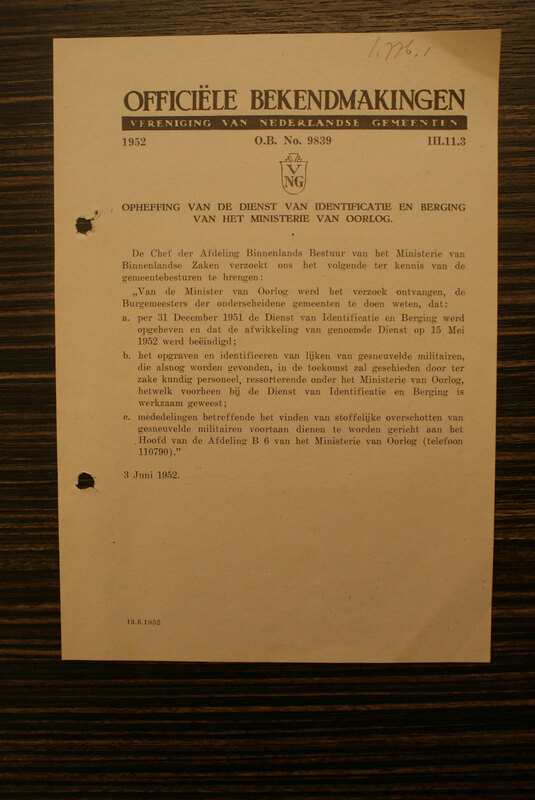 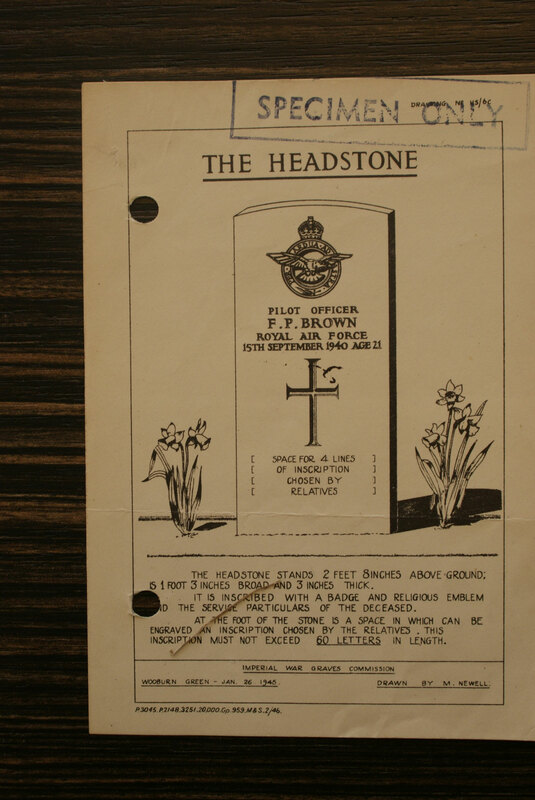 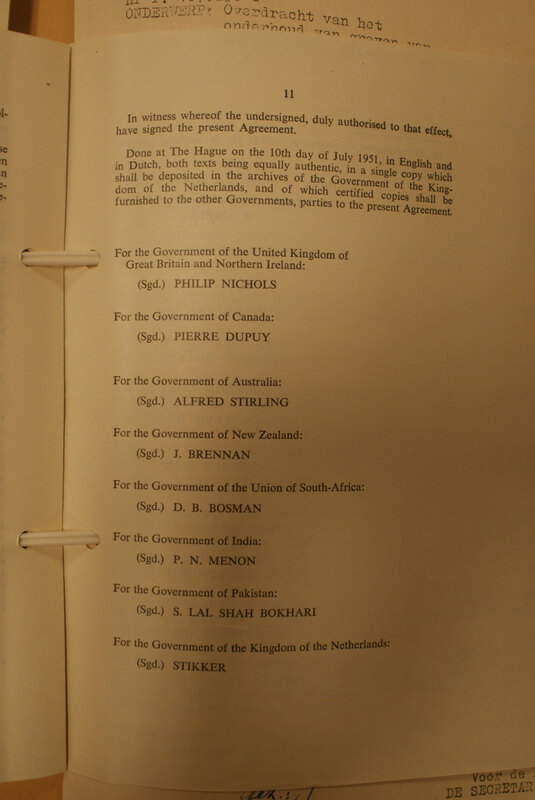 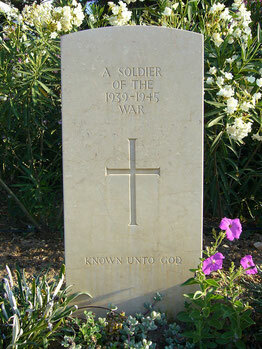 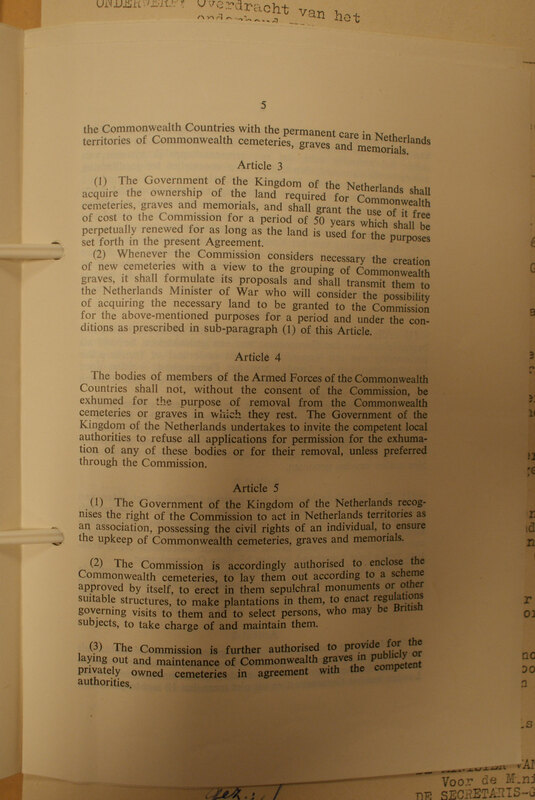 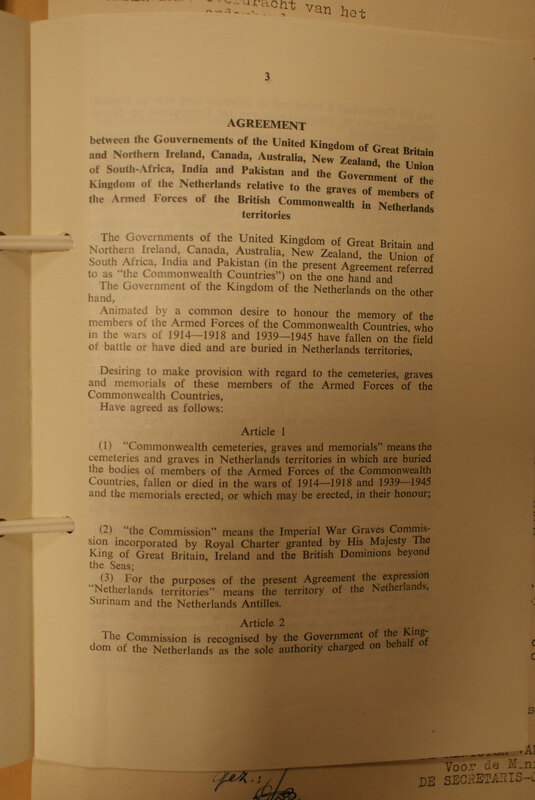 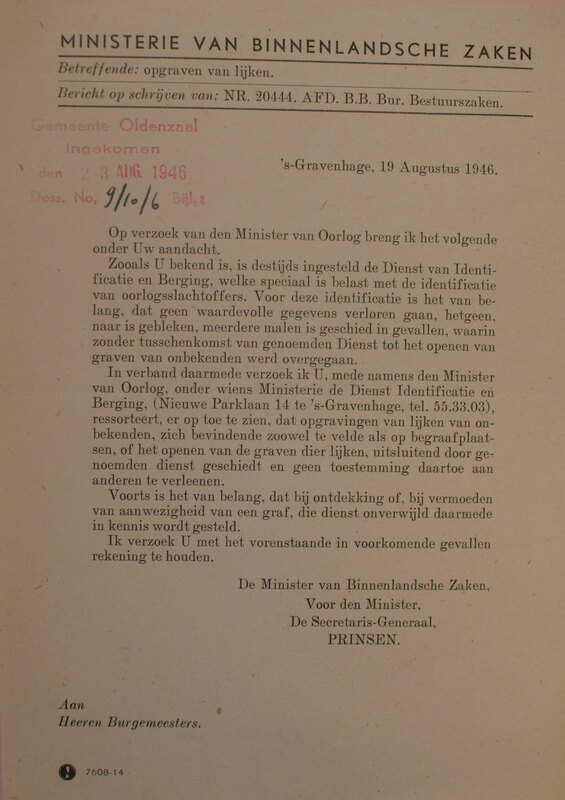 A a document in which an agreement was set up between several Governments and the Netherlands to honour the fallen in the Netherlands. 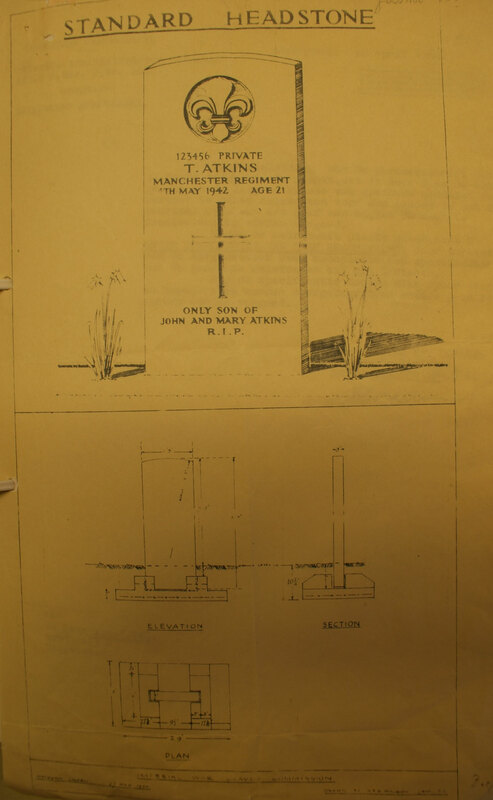 Information asked and given to Next of Kin.